Pastil is that famous delicacy from Maguindanao where steamed rice is topped with your choice of chicken, fish or beef flakes. It is wrapped in banana leaf. To eat it, you either peel off the leaf and immediately stuff the rice topping in your mouth like how you eat bud-bud (suman or rice cake). But if you’re sosy, then you can also use a spoon and fork. How you eat it is totally up to you, actually. 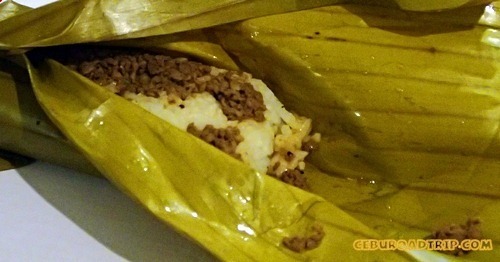 Now, pastil made it’s way to Cebu thanks to the creative genius of the guys behind Pinoy Pastil. You’ll now have the chance to grab a healthy meal at an affordable budget. This wrapped meal is also a great alternative to your regular snack food. It’s best eaten when still warm as you’ll certainly find the mixture of aroma coming from the banana leaves and the toppings irresistible. 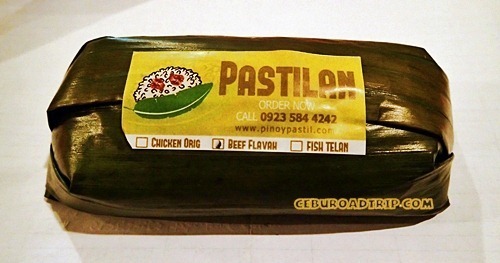 Pastilan comes in three flavors – Chicken Orig, Beef Flavah and Fish Telan. Sold at P25.00 per piece, this affordable meal will surely satisfy your hungry tummies. To know where to order one, check out the links below.